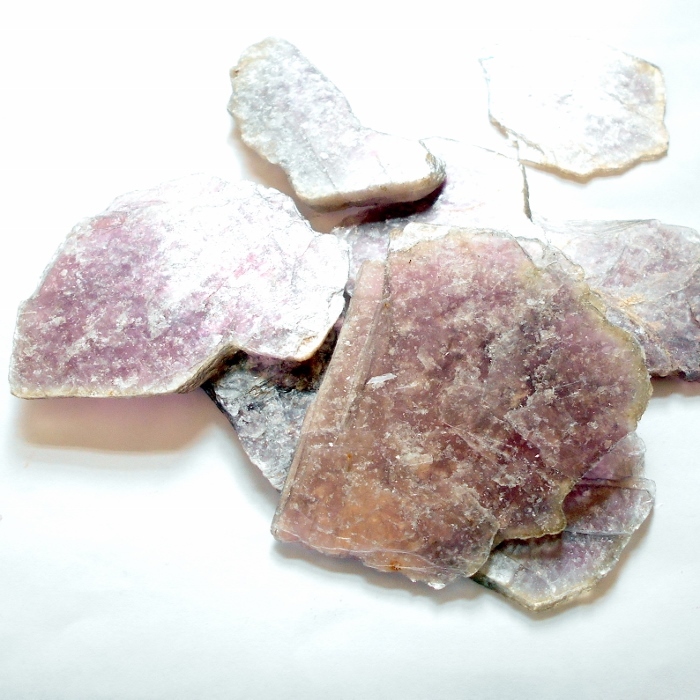 Gorgeous lavender purple lepidolite mica slabs for your collection. Lepidolite is a love gemstone that inspires spiritual awareness. It is a gemstone that helps you find the reasons for life that also protects you from emotional tension and stress. 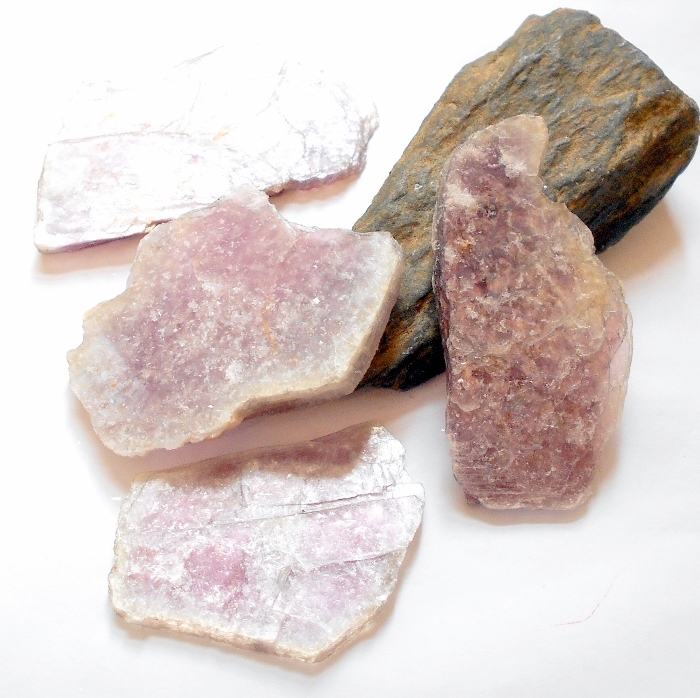 Lepidolite is also an excellent pain reliever and it purifies blood. 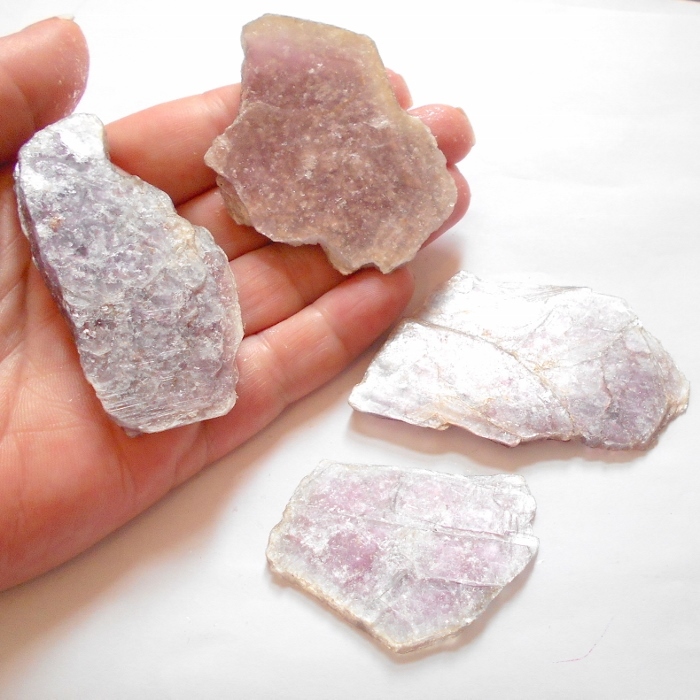 Lepidolite is a lithium mica mineral with a hardness of 2.5 to 4. It crystallizes in the form of masses; scale-like aggregates of prismatic crystals. Lepidolite slices are minimum 2 inches each and go up to about 3 inches. Price is for one stone. This lepidolite was mined in Brazil.